Do you sometimes think your existence has become all about your circumstances, and no longer about the real you? My name's Antoinette Faith - and believe me, I know exactly how you feel... In fact, that's why I started this blog - to help other women with similar struggles realise they are not alone. I've spent most of my life experiencing chronic pain caused by Fibromyalgia, CFS and endometriosis. It took a significant impact on my positivity, health and wellbeing. In fact, it affected every area of my life. It impacted my mood and everything around me. Family members disappeared, and all but a few friends lost interest. Opportunities to work, travel or even simply enjoy life evaporated. As a woman of faith, at times it was a challenge for me to understand why life had taken this turn. Finally, I decided to take a different approach. What if, instead of focussing on what I was so desperate to change, I focused instead on becoming happier and more fulfilled in other areas? It might not reduce pain levels, I reasoned, but at least it could help me cope better with what was going on. And that's why this blog was born. I want to help other women who are facing similar battles realise they are not alone. I am hoping it will be a help to you as we learn this paradigm shift of letting go of the anguish, worry and fear and simply learn to BE. So, why not join me on this journey? 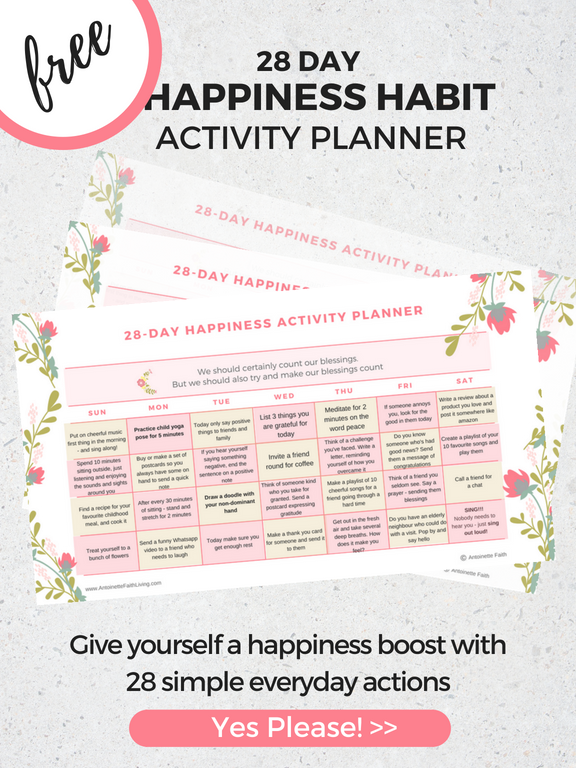 You'll get instant access to my Free Resource Library of inspirational posters, cheatsheets and workbooks. Click the button below to join up. Sign Up for my e-letter and Get Free Gifts Plus Access to the Free Resource Library too!